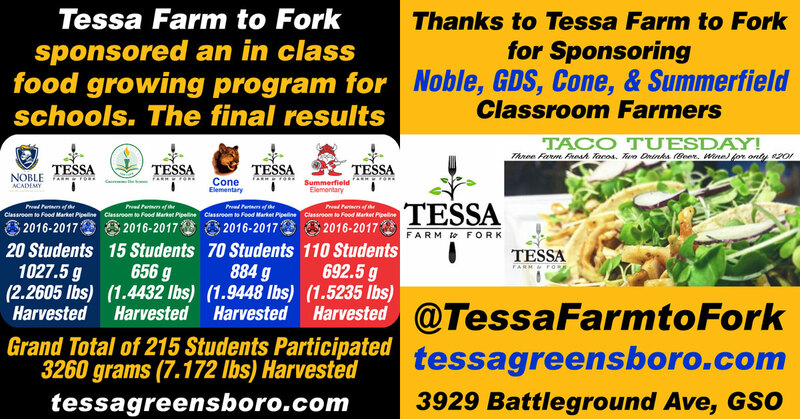 We’re happy to announce the 2016-2017 Classroom to Food Market Pipeline (CFMP) sponsored by Tessa Farm to Fork for 215 students at four area schools has come to a completion. The combined microgreen harvests of Noble Academy, Greensboro Day, Cone Elementary, and Summerfield Elementary is 3260 grams (7.172 lbs). 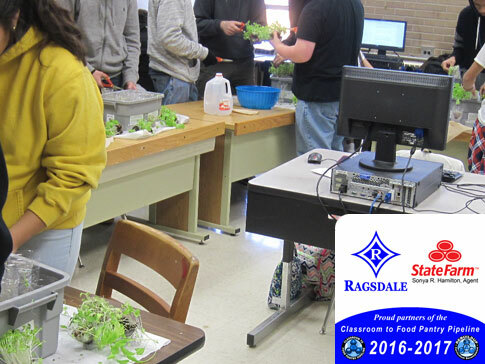 1st Block students at Ragsdale High School harvested 5 bins in a single class as part of their Classroom to Food Pantry Pipeline (CFPP) with Hand to Hand Food Pantry sponsored by Sonya Hamilton State Farm. This is a bit of feat for a class of 22 harvesting, cleaning, and reseeding the equivalent of seven 12 Bottle Portable Garden Bins (12BPG) because 4 of the 5 bins were the larger grey 18 Bottle Portable Garden Bins (18BPG) that each equal 1 1/2 12 BPG’s. Parts of the harvest were filmed for an upcoming video to air on local television as part of a Gift of Giving Grant sponsored by the Four Seasons Town Centre. On Saturday, November 19th, fresh student grown pesticide free greens harvested the day before made it to Parkwood Baptist’s Hand to Hand Food Pantry. A flyer highlighting some of the health benefits of eating more greens was also included in the delivery. 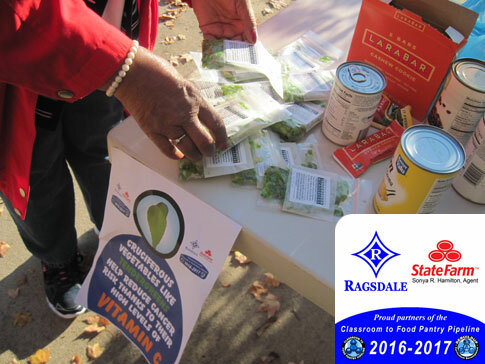 Ragsdale High School’s Classroom to Food Pantry Pipeline (CFPP) setup to benefit Hand to Hand will continue with regular monthly deliveries for the rest of the school year. 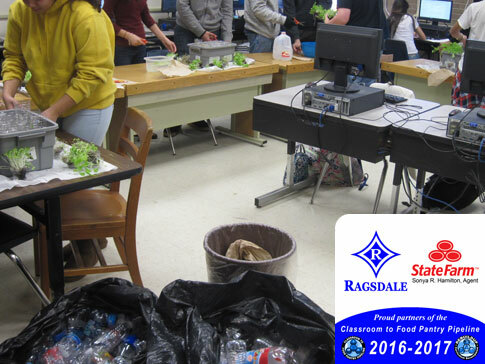 On Friday, November 18th, Ragsdale High School completed it’s November harvest of 3 Portable Garden Bins (two 18 bottle and one 12 bottle). 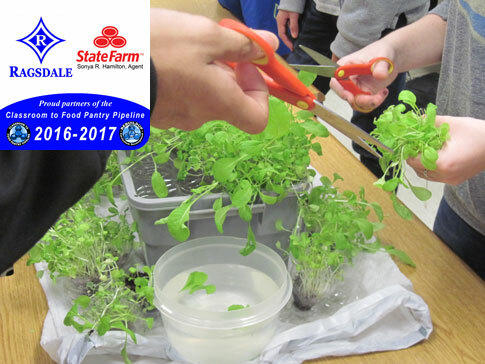 Sponsored by Sonya Hamilton State Farm, this year’s RHS CFPP will deliver student grown greens to Parkwood Baptist Church’s Hand to Hand Food Pantry on a regular basis. The two Scientific Visualization (SciVis) classes will be adding more bins to the harvest in the next month. On Monday, September 12th, students at Westchester Country Day School in High Point, NC began setting up the first of 8 Portable Garden bins for their school’s Classroom to Food Pantry Pipeline (CFPP). Students will use these bins to grow nutritious pesticide free micro greens for delivery at Emerywood Baptist’s Food Pantry on a monthly basis during the 2016-2017 school year. Join ReBuildUp this Thursday, August 18th 6-9pm at the Greensboro City Market. 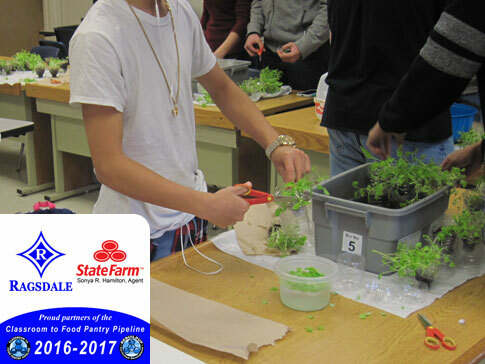 We’ll be showing off food grown in our Portable Gardens to build support for expanding Classroom to Food Pantry Pipelines (CFPP) into more Guilford County schools. This event averages crowds of 2,000-3,000 every third Thursday in the summer. Games, Food, Music, and More for everyone! Ragsdale High School is now making weekly deliveries to Renaissance Church’s Food Bank for the remainder of the school year. 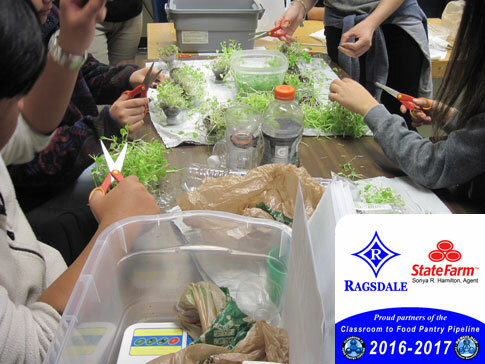 ReBuildUp is looking forward to growing the number of portable gardens at Ragsdale in the fall to provide even more food to area food banks and pantries. 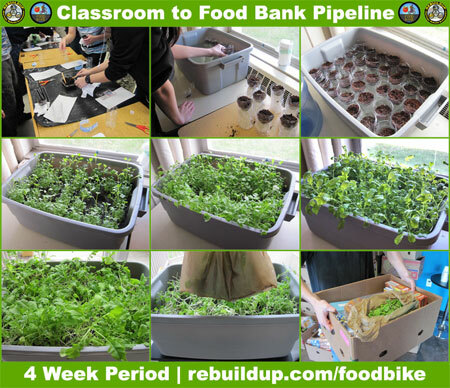 Food grown by students in Mrs. Pendrak’s (a former PitchPocalypse Winner) 2nd Block Game Design class at Ragsdale High School was successfully harvested and delivered to Renaissance Church’s Food Bank on Saturday, March 26th, as part of ReBuildUp’s “Food Bike” program. In addition to setting up this “Classroom to Food Bank Pipeline,” students played a nutrition based card game also called “Food Bike” where they took turns being customers and merchants selling one another fruits and vegetables based on each food’s health benefits. 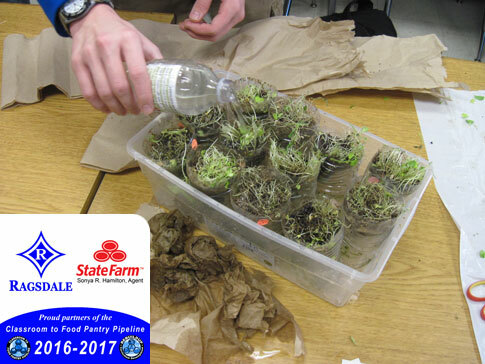 The Food Bike program finished up with a small cash prize contest where winners made bottle lettuce growers to see who could grow the biggest plant over the course of the program. Coming in first was Reina, second place went to Emily, and coming in third was Cameron. ReBuildUp is currently seeking out sponsors, donors, and grants to help make these requests a reality. There are over 40 schools across the state wanting this for their classroom and community. There are also teachers in both Greensboro and High Point requesting Food Bike which is important given Guilford County’s status as #1 in the nation for food insecurity.